Tanya DuBois doesn't exist. At least not after an accident leaves her husband dead and thrusts her into the uncomfortably familiar position of Suspect No. 1. She has only one choice: Run. As "Tanya" watches her life recede in the rearview mirror, we realize she was never real to begin with. And neither is Amelia Keen, Debra Maze, Emma Lark, Sonia Lubovich, or a girl called only Jo. Or almost any of the things she tells us about herself, her past or where she is going next. She is "Amelia" when she meets Blue, another woman with a life she'd rather not discuss, and thinks she's found a kindred spirit. But their pasts and futures clash as the body count rises around them. Shedding identities like snakeskins, it becomes impossible for the people in Tanya's life - and even herself - to know exactly who they're dealing with. It's only as she comes closer to facing her past that she can start to piece together the truth about not only who she was but who she can still be. 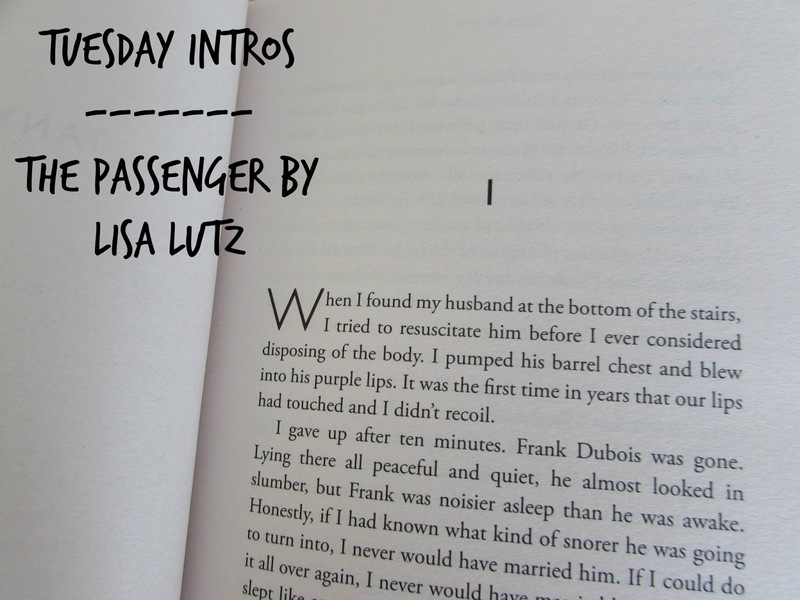 THE PASSENGER inverts the traditional thriller, bypassing whodunit for the larger mysteries of who are you, and what is forgivable, and what is not? When I found my husband at the bottom of the stairs, I tried to resuscitate him before I ever considered disposing of the body. I pumped his barrel chest and blew into his purple lips. It was the first time in years that our lips had touched and I didn't recoil. I was hoping to read this in the next few weeks so it's a yes from me. Love the intro. Really leads you to want to read more... I hope you enjoy when you're able to read it. I'm really enjoying so far. I loved this book! And the freaky, twisty identity aspects kept me turning the pages. A page turner, for sure! Yes, I've heard a lot of good reports about this book. I've read others by this author, but they are more in the realm of humorous mysteries. Enjoy! Ooo... I'll have to look into those. The opening lines grab me...and I know I have a copy of this book on one of my shelves. Time to hunt it down. Hope you enjoy it! Definitely well worth a read, especially if you own a copy already. Thanks! I get that page turner vibe! Thanks! I love the writing style and this opening, so I'd keep reading! I'm really enjoying the writing style. Sounds like the wife isn't too sad about her husband's death! I like the opening a lot, and would keep reading to find out what happens after Frank's death. The intro sparks that curiosity. I've not read this book but that is a hell of an opener! Love the line about their lips touching! I would definitely continue reading. I've been curious about this one for awhile. Me too - I snapped it up when I saw it at my local library. This sounds good. I detect a bit of sarcasm in the wife's comments. Yes. I'd keep reading. The consensus seems to be keep reading... That, or it has been read by others!